For one hundred years, retail was designed for the car—buildings and malls to travel to. Now it is designed for the mobile smart device—for consumers to travel with. In a world with an overabundance of material goods, consumer values and the drivers of retail success are being radically redefined. The smartphone has created a world of limitless expectation and logistical possibility: What will the retail experience look like in ten, twenty, or even fifty years—and how should all companies be preparing? Industry experts Michael Dart and Robin Lewis identify the major trends in our economy that will shape the future of retail and determine who wins. Imagine aworld where entertainment, experience, or values matter more than the product. We are approaching the time in which distribution begins and ends with the consumer, mass markets give way to fragmented markets, and the necessity of entirely new business models is paramount. Amazon, Uber, and AirBnB are just the beginning; new technologies will continue to grow and uproot existing business models. And now, with the emergence of the technology-empowered young consumer culture, retailers will be forced to transform their offerings. In their previous book, The New Rules of Retail, Dart and Lewis predicted nearly every defining characteristic of today’s marketplace. Here, they do the same for the next era, in which retailers will have to be ready for anything. 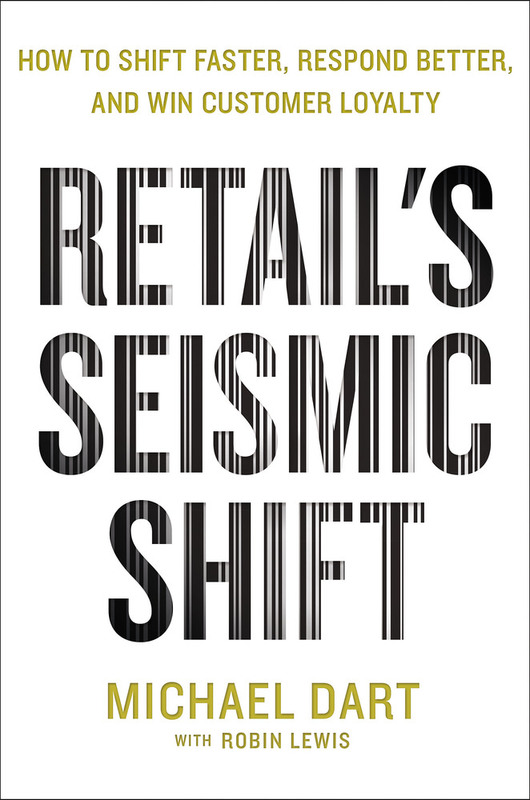 Michael Dart is a retail specialist and visionary who advises retail and consumer companies on how best to navigate retail's seismic shifts. He combines his economics and finance training from Oxford University and the Wharton School, University of Pennsylvania with over 25 years of consulting with AT Kearney & Bain & Co. to provide a unique and creative perspective on the future. Regularly quoted in the press—including The Wall Street Journal and Financial Times—he is a popular speaker with keynote addresses at many global retail conferences, including the WWD CEO Summit and the Global Department Store Summit. Robin Lewis is the founder and CEO of The Robin Report and has consulted for dozens of retail and consumer product companies. He is frequently quoted in Time magazine, the Chicago Sun Times, Financial Times, The New York Times, The Wall Street Journal, Brand Week, and Advertising Age, and he appears regularly on CNBC, Fox News, and Good Morning America. He is a sought-after speaker and has delivered keynote addresses at the World Retail Congress, ICSC (International Council of Shopping Centers), Brazil Retail Federation and various other financial, corporate and academic conferences. He is based in New York City.